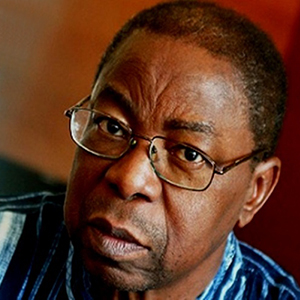 Luís Bernardo Honwana was born in 1942 in Lourenço Marques (actually Maputo), Mozambique. He studied law in Portugal. Back in 1964 he became a militant to liberate Mozambique from Portuguese colonial rule. He was incarcerated for three years. In 1975 he was appointed director of President’s office. Later in 1981, he became Secretary of State for culture. He served on the Executive Board of UNESCO from 1987 to 1991. Honwana is the author of a single book, ‘Nós Matámos o Cão-Tinhoso’ (1964), ‘We Killed Mangy Dog and Other Stories’ in English. A historical narrative facing the memory retracted by the colonizers. And the tale ‘Hands of the Blacks‘, a collection of short stories set in the (Portuguese) colonial era at the turn of the ’60. I don’t remember now how we got onto the subject, but one day Teacher said that the palms of the black’s hands were much lighter than the rest of their bodies because only a few centuries ago they walked around on all fours, like wild animals, so their palms weren’t exposed to the sun, which made the rest of their bodies darker and darker. I thought of this when Father Christiano told us after catechism that we were absolutely hopeless, and that even the black were better than us, and he went back to this thing about their hands being lighter, and said it was like that because they always went about with their hands folded together, praying in secret. I thought this was so funny, this thing of the black’s hands being lighter, that you should just see me now – I don’t let go of anyone, whoever they are, until they tell me why they think that the palms of the black’s hands are lighter. Dona Dores, for instance, told me that God made their hands lighter like that so they wouldn’t dirty the food they made for their masters, or anything else they were ordered to do that to that to be kept quite clean. Senhor Antunes, the Coca Cola man, who only comes to the village now and again when all the Cokes in the cantinas have been sold, said to me that everything I had been told was a lot of baloney. Of course I don’t know if it was really, but he assured me it was; After I said yes, all right, it was baloney, then he told me what he knew about this thing of the black’s hands. It was like this : – ”Long ago, many years ago, God, Our Lord Jesus Christ, the Virgin Mary, St. Peter, many other saints, all the people who had died and gone to Heaven – they all had a meeting and decided to make blacks. Do you know how ? They got hold of some clay and pressed it into some second-hand mould. And to bake the clay of the creatures they took them to the Heavenly kilns. Because they were in a hurry and there was no room next to the fire, they hung them in the chimneys. Smoke, smoke, smoke – and there you have them, black as coals. And now do you want to know why their hands stayed white ? Well, didn’t they have to hold on while their clay baked ? When he had told me this Senhor Antunes and the other men who were around us were very pleased and they all burst out laughing. That very same day senhor Frias called me after Senhor Antunes had gone away, and told me that every-thing I had heard from them there had been just one big pack of lies. Really and truly, what he knew about the black’s hands was right – that God finished making men and told them to bathe in a lake in Heaven. After bathing the people were nice and white. The blacks, well, they were made very early in the morning, and at this hour the water in the lake was very cold, so they only wet the palms of their hands and the soles of their feet before dressing and coming into the world. But I read in a book that happened to mention it, to mention it, that the blacks have hands lighter like this because they spent their lives bent over, gathering the white cotton of Virginia and I don’t know where else. Of course Dona Estefania didn’t agree when I told her this. According to her its only because their hands became bleached with all that washing. Well, I don’t know what to think about all this, but the truth is that however calloused and craked they may be, a black’s hands are always lighter than all the rest of him. And that’s that ! After telling me all this, my mother kissed my hands. As I ran off into the yard to play ball, I thought that I had never seen a person cry os much when nobody had hit them.